Tents sit below the Gardiner Expressway in Toronto on Jan. 16, 2019. City councillors and advocates are demanding that Toronto’s homeless and housing crisis be declared a state of emergency and that all three levels of government work together at a time when shelters are at capacity and the extreme cold weather persists. At a news conference Tuesday at City Hall, Councillors Kristyn Wong-Tam and Gord Perks spoke alongside activists to call for immediate action on homelessness in Toronto. Advocates held signs resembling tombstones in remembrance of those who died while homeless. Ms. Wong-Tam and Mr. Perks said the municipal, provincial and federal governments must agree to a formal conversation that will lead to an action plan. “Mayor Tory, this is not a shelter and housing issue. This is a matter of life and death,” said Rafi Aaron, co-chair of the Beth Sholom/Beth Tzedec Out of the Cold Shelter. Advocates and city councillors demanded that all possible resources be used for more shelter space as well as the construction of social and supportive housing. Since the beginning of the year, four homeless people have died in Toronto; in the 18 months between Jan. 1, 2017, and June 30, 2018, 145 homeless people died. The shelter system is at 94 per cent capacity, surpassing the city’s safety target of 90 per cent. Ms. Wong-Tam said past solutions to address homelessness have failed. “We want to acknowledge the conditions of housing that exist in Toronto right now as being untenable," she said. She cited Toronto’s 1.1-per-cent rental vacancy rate, a lack of mental health-care services, 6,500 listings on Airbnb and “renovictions” – when landlords evict tenants to perform renovations and increase rents – as some of the factors leading to the current situation. Stephen Hwang, a professor in the department of medicine at the University of Toronto who specializes in homelessness, said the reasons cited by Ms. Wong-Tam as well as the opioid crisis and an influx of refugees are all part of the problem. Homelessness advocate and street nurse Cathy Crowe described the conditions inside the city’s emergency shelters as unlivable, uncomfortable, unsanitary and overcrowded. In response to the councillors' and advocates' request for Mayor John Tory to declare a state of emergency, the mayor told reporters at a news conference Tuesday that his power to declare a state of emergency would do little to help the homeless. A state of emergency, a provision in the City of Toronto Act designed to deal with events such as natural disasters or disease outbreaks, allows the mayor to act with "delegated authority," without council approval, according to the city's emergency plan. But the mayor must report on what actions he has taken, and why, within 24 hours. The state of emergency only lasts 30 days, and must be renewed by a council vote. Adam Vaughan, MP for Spadina-Fort York and Parliamentary Secretary to the Minister of Families, Children and Social Development, said in the committee meeting that Ottawa is willing to come to the table on this issue. Mr. Vaughan also said the federal government is prepared to work with Toronto directly when Ms. Wong-Tam asked what will happen if the province does not co-operate. Julie O’Driscoll, Director of Communications for the Minister of Municipal Affairs and Housing, said the province commends those who are currently working on this issue and that it is these individuals who best determine the ways to allocate funding for programs and services. “We embrace an all-of-government approach that would provide wraparound support, customized to the specific needs of individual people," she said. 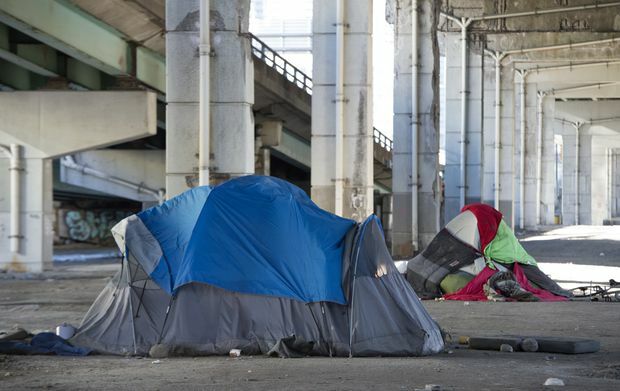 The committee voted to ask city officials to prepare a report regarding legal obligations to address homelessness to present at a city council meeting on Jan. 30.